The Congress is pleased to welcome three Professionals to the event, they are Yang Jaeho 9P, Cho Hye-Yeon 9P and An Younggil 8P. 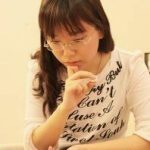 The three Pros will be conducting workships, teaching and playing simul games as well as reviewing games played at the tournament. Below is a brief profile of each player. 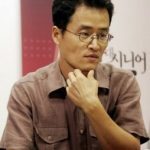 Yang Jaeho is a 9 dan professional with the Korean Baduk Association (KBA). He was born in 1963, and he became a pro in 1979. In 1980s, he was regarded as one of strong rookies along with Yu Changhyuk 9p and Cho Daehyun 9p against the top two players (Cho Hunhyun 9p and Seo Bongsu 9p) in Korea. In 1989, he won the 1st Tongyang Securities Cup by defeating Jang Suyoung 9p with 3-1 score, and it was his first title. In early 1990s, he was ranked #5 for a couple of years after 4 Korean best players – Lee Changho 9p Cho Hunhyun 9p, Yu Changhyuk 9p and Seo Bongsu 9p, and he was the runner up in 23rd and 26th Meyeongin (Korean Meijin) in 1992 and 1995. In 2010, he was the national coach of Korean team at the 2010 Guangzhou Asian Games, and Korean team took all three gold medals. From 2011 to 2016, he was the secretary general of KBA, and he made a great effort to promote Go not only inside of Korea, but also in other countries. He became a president of the K-Baduk in June, which is a cable TV Baduk channel in Korea. Cho Hye-yeon was born on 7th June 1985 in Suweon City, South Korea and is a Korean, Professional 9-dan. Miss Cho was the fourth female to reach 9-dan and earned the nick name “The Female Yi Ch’ang-ho.” because of her playing style. Cho Hye-yeon became a professional before she was 12 years old, one of the youngest professional in Korea at the time. Her titles include the 2003: 9th Women’s Kuksu, the 2004: 5th Women’s Myeongin; the 2005: 10th Women’s Kuksu; 1st Female Siptan. 2017 Won the championship of the Korean Women’s League team match; 2017 Won the GGAuction Cup; 2018 2nd place at Daeju Cup. She enjoys creating life and death problems, saying that it “is like drawing,” and has published a few life and death books. Aside from her professional go career, Cho Hye-Yeon received a degree in English Literature and Japanese at Korea University and is currently a graduate student in Mass Communication & Public Relations. AnYounggil is an 8 dan professional Go player with the Korean Baduk Association. He qualified as a professional in 1997. In 1998 he won the ‘Prize of Victory of the Year’ for winning eighteen games in a row. In 2001 took 3rd place in the 35th Wangwi cup, and the 3rd place in the 1st Korean Rookies’ Victories and achieved high placings in many other tournaments until he was conscripted for compulsory military service. An Younggil left Korea in 2008 to teach and promote the game Go overseas. Younggil now lives in Sydney, Australia, and is one of the founders of Go Game Guru. Younggil lectures at the Sydney Go Club which are recorded and posted on Facebook. Younggil also teaches students face to face as well as over the Internet. Younggil is also part of the steering committee for the Australian Go Congress and helps events such as the Hanho Newspaper Cup, the Korean Ambassadors Cup. Younggil is a member of the AGA Committee, National Coach, a member of the Ratings & Youth sub-committees. Younggil also travels to state and local tournaments around Australia teaching and helping Australian players improve their skill.